I don’t run. You know I think I started a different blog post more or less that way a little while ago. I guess I should update that statement . I don’t run I rarely ever run. Some time ago The Oatmeal posted a series of comics that outline why he runs. They are funny, insightful, and at times moving. They make you think about issues of health, our place in the universe and everything in between. I saw this post pop up a number of times on my social media sites. My runner friends clearly found that this resonated with them. Not me however. Because I don’t…I mean I rarely run. On the very rare occasion that I do run I am not trying to alleviate guilt for overeating, I am not trying to feel like I am battling a Kraken, I am not even trying to have a profound spiritual experience. Those are great reasons. They just are not mine. 1. Something that wants to hurt me is chasing me– Like I said I rarely run. But were I to come face to face with a bear that wanted to make me it’s dinner, or a zombie that wanted to eat my brain, or God forbid some sort of zombie bear hybrid I am quiet confident I would dig deep in myself and go for a little run. I recognize that making your first run in a long time a run for your life is not a great survival plan, but hey here we are. 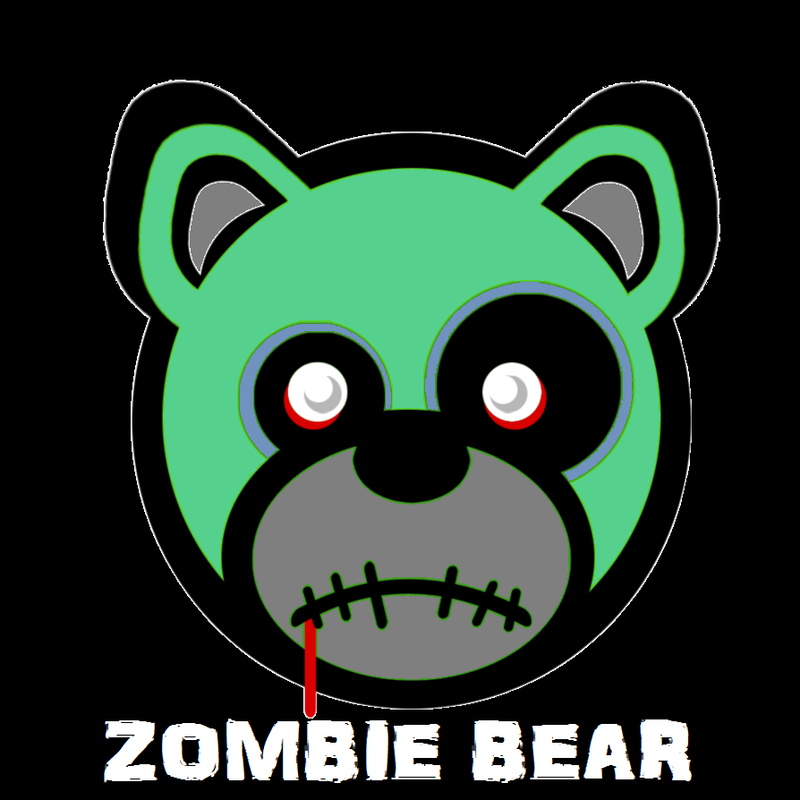 Typing the term ‘Zombie Bear’ into Google produces some pretty creepy image results. 2. 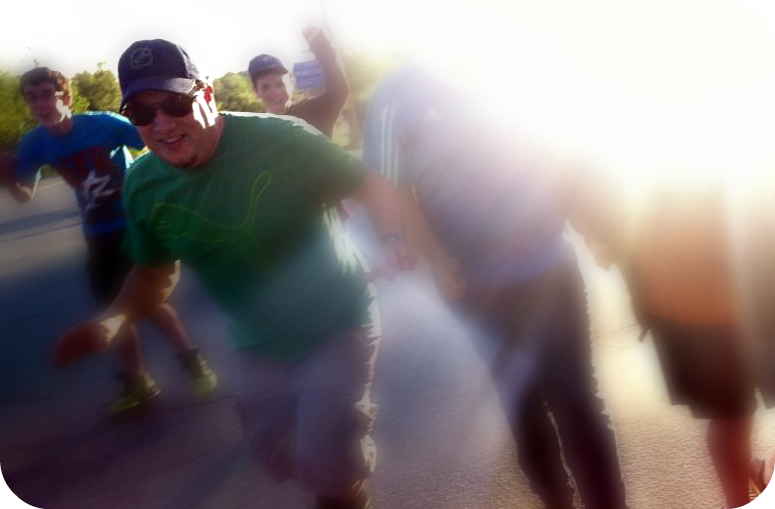 I Am Trying To Give Our Youth Group Game A Jump Start Of Energy– Once a week some quantity of teenagers come to a youth group that I help run. A number of them are pretty keen to participate in most things but the rest need to be coaxed a little. Unfortunately for me that means I can’t just explain the activity I also have to participate in it. At times that means trying to force my flabby body to run at the pace a healthy teenager can. I have to run house to house with them begging for items that are ‘bigger and better’ then the item we already have. I won’t sugar coat it, two or three houses in I am pretty sure we have the biggest and best item I want to find. Quick let us run the streets of Sackville! 3. I Want My Kids To Still Believe The Lie That Their Dad Is Big And Strong– I don’t think Meghan and I ever said it, but from time to time at a family dinner someone would say to our kids, ‘make sure you eat your dinner so you grow up to be big and strong like daddy’. In my mind I always think, ‘It’s not their dinner they need to eat to become big like me’. Never the less my kids right now think their daddy is strong and fast and powerful. I know one day that will all disappear, I am just trying to put that off for as long as I can. Don’t Worry Daddy I Think You Are Strong, Look You Can Lift Me Up! 4. 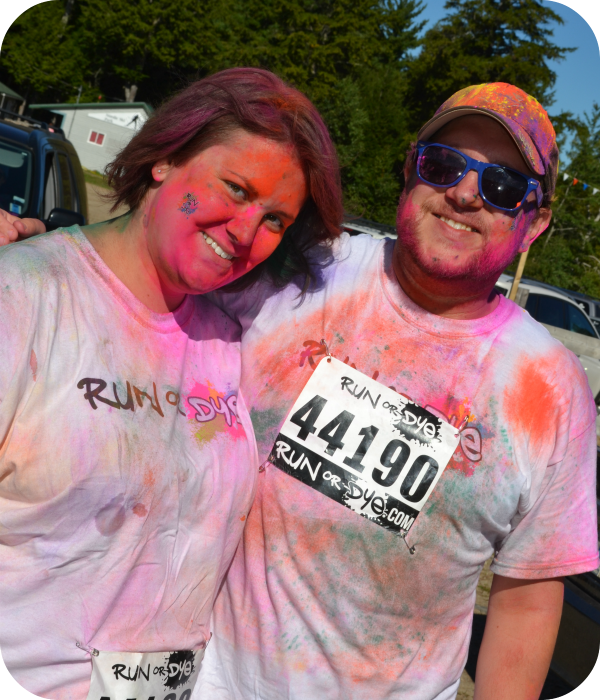 The Run Is Well Disguised As Something More Fun– Our family participated in Run Or Dye a few weeks ago and I saw yesterday that Meghan has pre-registered us to do so again in 2014. The ‘running’ aspect of the event is well disguised as a family fun day out. That is why I went anyway. I partly expected to run then die, but I didn’t so that was great. Up until a week or two ago I would have said those reasons were it. But as it turns out I discovered at least one more reason that I am willing to run. 5. 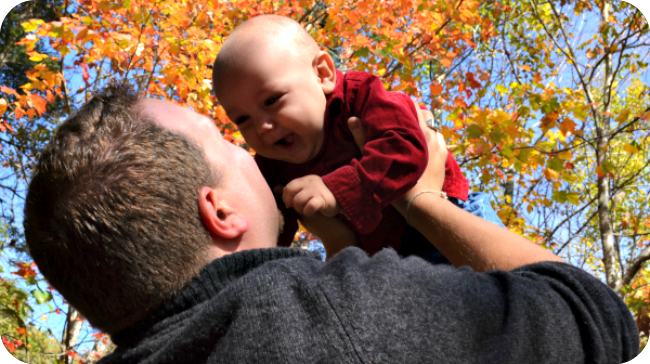 To Support A Friend, A Good Cause, And National Pride– My friend Laura over at Mommy-Miracles is co-hosting a virtual race taking place between November 8-15. Between November 8-15 those who are participating will walk or run wherever they are able. I plan to do my 5K on Monday or Tuesday at the gym likely on an elliptical. This race is a battle between Laura’s Canadian team and Greta’s (of G*Funk*ified) American team. I am excited to do my best for the #TNTDuel as I help Laura raise some money to fight against Lukemia. There is still time to register so if you are interested in this event make sure you hop over to Mommy-Miracles to sign up. Especially if you are a Canuck like me. I think we still need some people on our team so we can win! These are the reasons that I run. How about you? Are you like me a non-runner who from time to time find themselves running? Or are you a ‘real’ runner that knows through and through why you run. I’d love to hear from you! 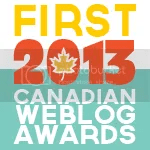 This entry was posted in Blogging, Health. Bookmark the permalink. LOL – I’m doing 5k training right now – mainly to be healthy but running a really close 2nd is the fact that I want to do the fun runs! I have a Foam Run coming up that I can’t wait to do! Oooh I foam run, that sounds like another family fun activity that I could tolerate running for. I love it! Thanks for the shout-out of our run, and for signing up! I don’t always enjoy running either, but it’s more of a habit now. 😀 I think you’re reasons are great (especially the zombies, teenagers, and your kids). Thanks I am glad to be part of your event. And isn’t it funny how natural the words Zombies, teenagers and kids go together? I LOVE that you shared the race. Thank you for doing so, and for participating! 😀 The racebib looks good beside you! I can appreciate that. I wish I had such a noble reason for me to be less than happy with the body I find myself in. Hopefully the gym will stick this time. 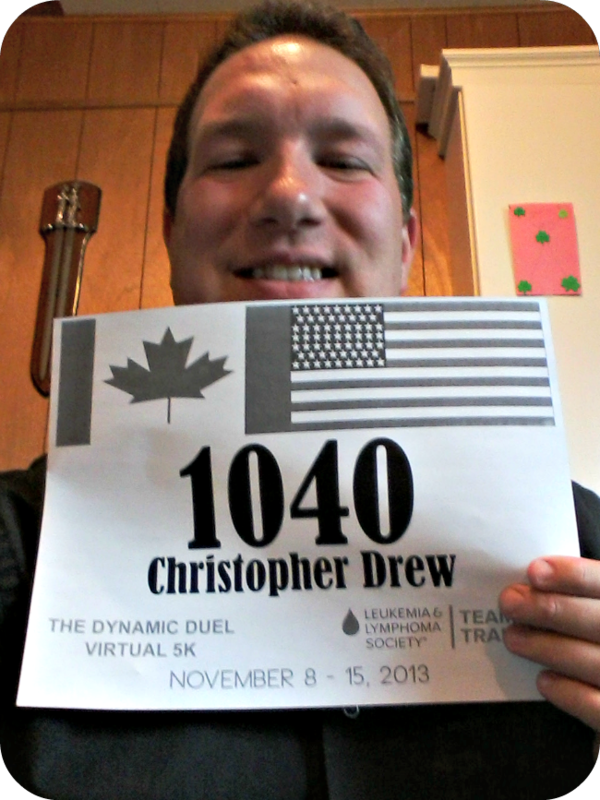 I’m not a runner, either, Christopher, but I’ve decided to take it up. I can be done my half-hour workout and back home in half an hour. It’s hard, but the reasons I run are so that I can keep up with Oskar and show him that it’s important to keep fit, and because I spent a couple hundred dollars on running clothes! I liked when you said you expected to “run and then die”. Hilarious.